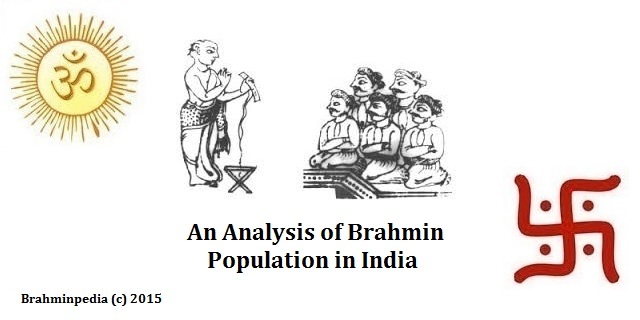 In this post I will talk about the migration of Brahmins as per Shantigrama Plates of Dandi Mahadevi who ruled around 925 AD in the Odisha. Dandimahadevi, daugher of Shubhakara V, belonged to the Bhauma-karas, who exercised control over Balasore, Cuttack, Puri and northern Ganjam district. As per the Shantigrama Plates of 925 AD, Dandimahadevi granted villages in Dakshin Tosala (whose capital was modern day Dhauli) to Bhatta Makyadeva ( Sanskrit : भट्ट माक्यदेव Bengali: ভট্ট মাক্যদেব ), son of Jalladeva (Sanskrit : जाल्लदेव Bengali: জাল্লদেব) of Takari, located in Gonda region of Uttar Pradesh. Thus in 925 AD, Uttar Pradesh Brahmin, Bhatta Makyadeva migrated from Gonda region of Uttar Pradesh to Ganjam region of Odisha, probably a month long trek! To know more about Dandi Mahadevi, you may read The Patlinga Copper Plate Grant Inscription of Dandi Mahadevi, by Shri S.N.Girish which appeared in June 2006 issue of Orissa Review. Thanks for your time. 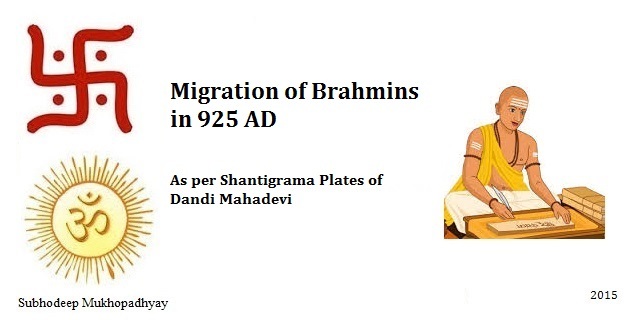 Hope you enjoyed reading Migration of Brahmins per per Shantigrama Plates of Dandi Mahadevi in 925 AD. Please feel free to leave your comments and do share this post with those who might find it useful.